AT&T's buyout of T-Mobile has prompted rumors that Verizon will follow suit and acquire Sprint, but Verizon was quick to squash the speculation. By purchasing T-Mobile for $39 billion, AT&T will become the largest U.S. carrier with more than 134 million customers, threatening Verizon's top spot position in the market. To counter AT&T's move, speculation was rife Monday over whether Verizon would acquire Sprint in order to consolidate its position on the market. However, this is not going to happen any time soon, as Verizon is not interested in Sprint, the company's chief executive told Reuters . "We're not interested in Sprint. We don't need them," Verizon Wireless chief executive Daniel Mead said. He continued saying Verizon, a joint venture with Vodafone Group, does not want to be distracted from its goal of being the most profitable U.S. wireless operator. 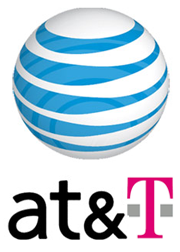 While some critics are skeptical that regulators will approve AT&T's buyout of T-Mobile, resulting in one less nationwide cellular carrier, Meade opined that U.S. regulators are likely to approve the deal -- as long as AT&T sells some of its assets in order to please the Federal Communications Commission and the Department of Justice. "Anything can go through if you make enough concessions," Mead said. Besides consolidating AT&T's position as the largest carrier in the United States, the T-Mobile deal has its pros and cons. Service should improve, as AT&T will have more cell towers available for its new and old customers, but there will be less choice with the disappearance of another player on the market. And while the Apple iPhone should arrive at some point for current T-Mobile customers, they will have to replace their current 3G phones in the near future because of spectrum rearrangements following the deal. There is always the chance that regulators will not approve AT&T's $39 billion bid to buy T-Mobile USA. In this case, according to a factsheet, AT&T will be required to pay a breakup fee of $3 billion to T-Mobile. If all goes well though, the transaction is expected to close in approximately 12 months.